The discovery of the function of nitric oxide which won the Nobel Prize in medicine gave humanity hope to conquer the deadliest disease on the planet. Scientist would soon learn nitric oxide not only regulates blood pressure and increases blood flow, but plays a vital role on the whole body system. The goal to change lives one person at a time became Cardio Miracle's clarion call. To do this the founder, John Hewlett, embarked on a five year journey to produce the world’s finest nitric oxide supplement. Cardio Miracle’s commitment to excellence resulted in the formulation of the most effective defense against heart disease and to provide the best natural pathway to produce nitric oxide in the body. Cardio Miracle was designed to give the body an instant jolt of nitric oxide and then sustain the nitric oxide boosting effects for a 12 hour period. The highest quality ingredients were selected before this formula was put through rigorous laboratory testing to ensure efficacy, quality and sustained delivery. The end result is the most synergistic blend of mostly organic, bioavailable active ingredients. Click on any ingredient below for details on its purpose. Astaxanthin, aka, the “king of carotenoids,” is a naturally occurring substance found in a specific type of microalgae, as well as seafood. Astaxanthin is the byproduct of a survival mechanism of the Haematococcus pluvialis microalgae. When water supply dries up this plant becomes stressed from the intense ultraviolet radiation, sunlight and low nutrition and in response produces astaxanthin to protect itself. Astaxanthin serves as a protective shield to protect the algae from lack of nutrition and intense sunlight.Those same protective qualities are passed to us when we supplement with it. Astaxanthin has a natural reddish pigment which is a cousin of beta-carotene. It’s very different from other carotenoids because it covers the entire cellular membrane. A piece of astaxanthin attaches itself to a portion of the interior, another to the exterior of the cell and yet another across the entire lipid layer. It is designed to protect all parts of the cell from free radical assault generated from within the cell and assaults from outside the cell. This fat-soluble molecule crosses the blood-brain barrier. 40 times higher than beta-carotene. Another major difference is that astaxanthin handles multiple free radicals simultaneously. Vitamin C and E can handle one free radical at a time where as astaxanthin can handle up to 19 at one time. More than half a dozen clinical studies have shown that astaxanthin supplementation may lower markers of both inflammation and oxidative stress. A review published in the Journal Marine Drugs suggested that astaxanthin could protect against atherosclerosis. In one study participants who took 12 milligrams of astaxanthin per day were able to decrease the presence of C-reactive protein in their body, which is an indicator of inflammation. Taking astaxanthin regularly may reduce the risk of inflammation in your cardiovascular system. Astaxanthin helps to further support healthy oxidative stress biomarkers on the vascular and systemic systems. In another study, Sprague Dawley rats affected with heart congestion had a reduced infarct (heart attack) size once astaxanthin was administered. Yet another important quality was the finding that astaxanthin decreases phospholipid hydroperoxidases, a compound known to accumulate in red blood cells of those afflicted with dementia. Acts like an internal sunscreen. It's a potent UVB absorber and reduces DNA damage. The Journal of Dermatological Science published a study in 2002 that found astaxanthin is able to protect against alterations in human DNA induced by UVA light exposure. Researchers suggest that astaxanthin may benefit diabetics by reducing oxidative stress in their pancreatic cells caused by high blood sugar levels, as well as improve glucose and serum insulin levels. 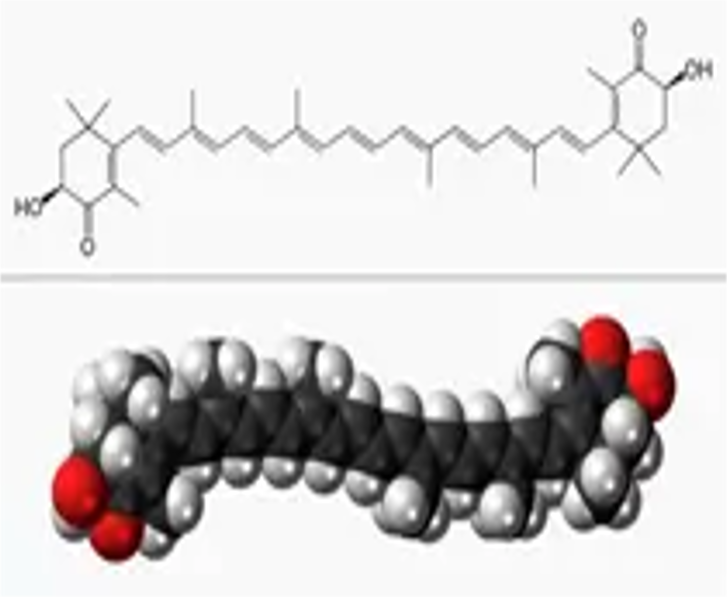 Astaxanthin crosses the blood-brain barrier AND the blood-retinal barrier (beta carotene and lycopene do not), which brings antioxidant and anti-inflammatory protection to your eyes, brain and central nervous system and reduces your risk for cataracts, macular degeneration, blindness, dementia and Alzheimer’s disease. Astaxanthin has been shown to have potential in fighting cancer. Experts believe that antioxidants works to inhibit the process of developing cancer and mutations by inhibiting oxidative damage to cells. Furthermore, it restores cell-to-cell communication to help decrease tumor proliferation. Astaxanthin is a powerhouse anti-oxidant that supports the entire body. AstraGin™ is a proprietary ingredient that holds a U.S. patent for “method for enhancing nutrient absorption.” AstraGin™ has been shown to support increased arginine absorption by 67% and L-citrulline absorption by 45% - as well as minerals and vitamins. AstraGin™ is a natural compound composed of highly fractionated astragalus and Panax Notoginseng. AstraGin™ has been designed and formulated to assist in the overall absorption of the cationic amino acids L-arginine and L-citrulline. AstraGin™ has been clinically shown to increase the absorption of L-arginine by 62% We use AstraGin™ as part of a group of ingredients to naturally increase the dosage by increasing the bioavailability of amino acids, vitamins and minerals. This translates to multiplying the dosage of the ingredients in our product up to 5 times. For example, vitamin B12 contains 250 mcg. Due to the higher level of bioavailability due to AstraGin™ absorption enhancement, the dosage translates to a value of up to 1000 mcg. Coenzyme Q10’s most absorbable form is known as Ubiquinol. C0Q10 is a potent enzyme that enhances heart health. Coenzyme Q10 is produced by the body but as by the time the body reaches 30 years of age its production begins to severely diminish. Coenzyme Q10 is a critical factor in maintaining the health of every cell in the body. It protects the heart muscle and tissue against free radical assault and absorbs oxidation within the arterial system. Two key markers for heart disease are Gamma Glutamyl Transferase (GGT) and C-reactive protein. Elevated levels increase the risk of heart disease. Ubiquinol downregulates C-reactive proteins and GGT, reducing the risk of heart disease. Fiber has a symbiotic relationship with other nutrients that help support healthy cholesterol, cardiovascular health, and maintain a healthy digestive tract. Healthcare professionals are reporting that 75% of people have some form of dysbiosis, or poor gut health. Fiber, taken as a prebiotic, can help alleviate some of those challenges. Not only does Cardio Miracle provide healthy fibers through the organic powders, the product has additional soluble fiber which helps increase nutrient absorption and bulks up the stool which can add benefits for those who may be constipated. Dietary fibers can act by changing the nature of the contents of the gastrointestinal tract. In particular prebiotic fibers have had a lot of attention recently because healthcare professionals are recognizing how important they are for balance within the human microbiome. Soluble and insoluble fibers encourage healthy flora in the gastrointestinal tract. Cardio Miracle utilizes a very high quality grape seed extract with a high concentration of active polyphenols and with antioxidant properties. Grape seed extract helps to support nitric oxide synthase in the endothelium, supporting healthy blood pressure. Grape seed extract is a flavonoid that has a high affinity for collagen structures, including those of your arteries and heart. It is known to support the structural integrity of tissue, helping in some instances to minimize physical wear and tear in the body. Studies may suggest that it may also help strengthen vein health and skin structure. Hawthorn berry is one of the most potent antioxidants known for healing several parts of the body. Its packed with beneficial flavonoids, saponins, phenolic acids, oligomeric proanthocyanidins (OPCs), quercitin, procyonid, malic acid, and citric acid and still other phytonutrients that act as potent antioxidants and stimulate internal healing mechanisms. Hawthorn berry helps protect against the formation of plaque, which leads to a health problem known as atherosclerosis. One animal study found that extracts of the plant given to rabbits with high cholesterol helped reduce cholesterol levels, In another study involving mice, hawthorn berry reduced LDL levels. The tincture of hawthorn berries also reduced the production of cholesterol in the liver of rats who were being fed a high-cholesterol diet. Studies to determine if hawthorn will confer the same effects in people are needed, but the results are promising. Several studies have similar conclusions that hawthorn significantly improved heart function and patients' ability to exercise as well as shortness of breath fatigue. Several studies have found that hawthorn may promote balanced blood pressure. Those who received the hawthorn preparation experienced improved blood flow to the heart and were also able to exercise for longer periods of time without suffering from chest pain. Hawthorn berry tea can have dramatic effects too. Studies demonstrate hawthorn berry tea as an intestinal, reducing bloating and cramping. It boosted gut health, making the environment less tolerant of parasites, such as tapeworms, and other infections. Arginine is an amino acid that plays a critical role in the functioning of the body. In addition to helping the body make protein, it is used to make nitric oxide. Arginine also stimulates the production of creatine which helps muscles contract. The majority of arginine in the body is used to process ammonia into the less toxic urea, as well to synthesize creatine and ornithine. A small portion is then used to trigger nitric oxide production, a gas that dilates blood vessels, lowers blood pressure, and helps maintain a healthy cardiovascular system. Among the most critical roles arginine play regulating blood pressure and circulation via nitric oxide, removing ammonia from the body, and healing of injuries is probably the most vital. It should be noted that A study published in the Journal of Strength and Conditioning Research showed that supplementing with arginine and L-Ornithine increased levels of human growth hormone (HGH) and insulin-like growth factor-1 (IGF-1) serum levels after strength-trained athletes engaged in heavy-resistance exercise. L-Arginine Works to Reduce Fat Mass and Triglycerides in Diabetics. L’Arginine is produced in the body but occurs at very low levels. For this reason L-Arginine supplementation is often needed as one ages. Cardio Miracle’s formula is formulated with the exact ratios of L’Arginine, L’Citruline and ornithine to support maximum nitric oxide production for optimum health. Cardio Miracle™ contains AAKG A 100% blend of pharmaceutical grade L-arginine and Alpha-Ketoglutarate. Arginine AAKG gives you all the endothelial- lining-support and vasodilation properties of arginine plus a number of benefits from alpha- ketoglutarate (AKG), such as increased arginine stability, bioavailability, and absorption. Furthermore, alpha-ketoglutarate will serve as a transport medium for arginine, for optimal synthesis. Beyond this, AKG supports the bodies endogenous production of glutamine and glutamic acid, both important for muscle growth and for the immune system. AKG also has been shown to bind to toxic ammonia in muscle cells, in the liver, and in the brain, thereby converting ammonia into glutamic acid improving glutamine levels and assisting in elimination of toxic ammonia from the body. Lastly, as a Krebs Cycle intermediate, AKG has shown to have positive effects on VO2 Max and energy metabolism in muscle cells, and is consequently a potent ergogenic. Although this powerful Amino Acid has been shown to provide a large number of health benefits, it has one significant issue; our body has a very difficult time digesting and absorbing L-arginine. One reason is that the intestine and liver contain the enzyme arginase that breaks down L- arginine. Clinical Studies have suggested that in many cases our bodies are able to utilize less than 50% of the L-arginine we consume. The remainder of the L-arginine product is excreted from our body in the form of waste. The low percentage of absorption is what forces hospitals to provide patients with L-arginine intravenously instead of orally. Arginine in the AKG form utilizes a different enzymatic pathway for absorption than regular L-arginine, which allows our body to absorb 90% of the form AKG. Ionic Trace Minerals help to support normal PH balance within the body which facilitates greater absorption of Nitric Oxide. Ionic minerals are easily and quickly absorbed and taken into the cells that line the intestinal tract. These minerals may are often employed in the body’s many physiologic activities, including nutrient transport, enzyme reactions, metabolism help, and immune system support. L-Citrulline is a precursor to arginine in the body. L-citrulline converts to arginine which then converts to Nitric Oxide (NO). It essentially acts like a time-released L-arginine extending the life of L-arginine so it can continue to trigger the production of nitric oxide. Citrulline bypasses the liver and unlike arginine, is not subject to breakdown by arginase. After supplementation, L-citrulline is converted into arginine in the kidneys. Despite claims that L-citrulline alone is sufficient to raise NO levels this position was contradicted by a 2014 Japanese study that showed the combination of both L-arginine and L-citrulline raises plasma L-arginine levels, and causes a significantly greater increase in plasma nitric oxide. This means L-citrulline supplementation improves the ammonia recycling process and nitric oxide metabolism. L-citrulline is also used to alleviate erectile dysfunction caused by high blood pressure. L-arginine and L-ornithine lose absorption value when supplemented in doses of 10g or more, which can result in diarrhea. L-Citrulline does not have this side-effect, but rather increases plasma levels of all three amino acids. L-citrulline is found in watermelon rinds (not as much in the red stuff). Cardio Miracle’s L-citrulline is sourced from watermelon rinds. Orgen-B is a blend of Certified Organic Guava (Psidium guajava), Mango (Mangifera indica), and Lemon (Citrus limon) extracts). 600 mg of Orgen-B offers Organic, Kosher and 100% Natural Vitamin B1, B2, B3, B5, B6, B9 more than RDA, along with co-nutrients. Vitamin E, and especially Vitamin E expressed as gamma tocopherol, is a potent antioxidant and provides Nitric Oxide support. Vitamin E helps support the minimization of cell-damaging free radicals on the endothelial lining thus and has been shown to support higher levels of nitric oxide. Studies have found that vitamin E has important antioxidant abilities that can reduce the effects of free radical damage. Thus, it can help to fight inflammation, slow the effects of aging, and even prevent some diseases. Vitamin E is helpful because it works as a blood thinner preventing blood platelets to merge together and transform into clots. Vitamin E promotes the growth of B-cells that form antibodies known to kill bacteria. Vitamin E can also play an important role in balancing both the nervous and endocrine systems. The symptoms of hormonal imbalances include PMS, urinary tract infections, weight gain, excess oil production in the skin, fatigue, and anxiety. Studies show Vitamin E can reduce the progression of macular degeneration which could eventually lead to blindness. Additionally, vitamin E supports the immune system, repairs DNA and improves the health of cell membranes, among other important metabolic processes. Vitamin E can significantly delay the formation of cataracts. Cataracts form as a result of damage to the healthy cells of the eyes, which is caused by free radicals. Also, like macular degeneration, cataracts can eventually lead to blindness. In addition, Vitamin E can improve neurological disorders. Studies have shown that Vitamin E can delay the onset of cognitive decline caused by Alzheimer’s or dementia. Ornithine is a non protein and one of the three amino acids involved in the urea cycle. Along with L-arginine and L-citrulline, Ornithine reduces elevated ammonia levels. The kidneys convert L-Ornithine into arginine, which helps to produce nitric oxide. L-Ornithine binds with a molecule known carbamoyl phosphate and then converts to L-citrulline where it releases the urea as the end product. L-Ornithine’s synergistic relationship with the anti-aging amino acid L-arginine increases strength and endurance according to a recent study. And according to a study in Nutrition Research, people who took ornithine were less fatigued from exercise than were people who took a placebo. The study found that ornithine helps the body use energy and combat fatigue more efficiently. Scientist believe ornithine supports proper liver function, prevents fatigue, and boosts performance during prolonged exercise. L-Ornithine provides athletic support by helping flush out excess ammonia and nitrogen from muscles during exercise. One clinical trial found that when burn patients took 10-30 grams of ornithine alpha ketoglutarate, OKG, daily they experienced faster healing. In addition, cancer patients taking OKG experienced faster recoveries as well. Ornithine is a non-protein and one of the three amino acids involved in the urea cycle. Along with L-arginine and L-citrulline, Ornithine reduces elevated ammonia levels. The kidneys convert ornithine into arginine, which helps to produce nitric oxide. Ornithine binds with a molecule known carbamoyl phosphate and then converts to L-citrulline where it releases the urea as the end product. L-ornithine’s synergistic relationship with the anti-aging amino acid L-arginine increases strength and endurance according to a recent study. And according to a study in Nutrition Research, people who took ornithine were less fatigued from exercise than were people who took a placebo. The study found that ornithine helps the body use energy and combat fatigue more efficiently. Scientist believe ornithine supports proper liver function, prevents fatigue, and boosts performance during prolonged exercise. L-ornithine provides athletic support by helping flush out excess ammonia and nitrogen from muscles during exercise. Cardio Miracle’s sugar-free formula is sweetened with Stevia; no Xylitol, aspartame, or Sucralose. Our naturally sweetened formula contains organic cane sugar. Compared to white sugar, organic cane sugar has the full-bodied taste of sugarcane and is much less processed, retaining a lot of the nutrients present in cane juice. Unrefined cane sugar contains 17 amino acids, 11 minerals, and 6 vitamins, including antioxidants that may help reverse oxidative damage. The three highest sources of Procyanidins is Grape Seed Extract (GSE), Pine Bark and Pycnogenol. Each has its merits and work in tandem with arginine and is so included to further enhance Cardio Miracle. This creates synergistic benefits and super boosts the anti-inflammatory effect of our formula. Proanthocyanin bioflavonoids are virtually identical whether they come from pine bark, grape seeds, lemon tree bark, cranberries, or hazel nut tree leaves. The difference is in the varying concentration in the different plant. GSE has the highest concentration of Proanthocyanin’s, 95% concentration, and it was selected for use at impactful levels in Cardio Miracle. Pine bark extract protects against oxidative stress by increasing synthesis of antioxidative enzymes and by scavenging of free radicals. Pycnogenol was shown to improve blood glucose control in clinical studies. It also supported increased blood flow when combined with nitric oxide boosting L-arginine. This cardioprotective effect is greatly enhanced when Pycnogenol and L-arginine AKG is combined and may also help with erectile dysfunction. The combination of L-arginine and GSE may enhance muscle function and performance; and when combined with other synergistic antioxidants like Pine Bark, Vitamins C and E, and Resveratrol it becomes a powerhouse of benefits for repairing and maintaining cardiovascular health. Recently, scientists discovered that pomegranate juice may enhance the bioactivity of nitric oxide synthase in endothelial cells. Furthermore, pomegranate’s antioxidant properties help to protect nitric oxide from oxidative destruction. Pomegranate juice has also been shown to support the positive expression of nitric oxide synthase in both healthy and unhealthy blood vessels. According to a study published in a June 2010 issue of Science Daily, the nitrates in beetroot juice can be beneficial because they have been shown to increase the amount of nitric oxide in the blood and consequently widen blood vessels, support circulation, and support normal blood pressure. New research explains resveratrol's effect on inflammation, and how it can be used to treat potentially deadly inflammatory disease, such as appendicitis, peritonitis, and systemic sepsis. Resveratrol stops inflammation with a one-two punch that prevents your body from creating two different molecules known to trigger inflammation -- sphingosine kinase and phospholipase D.
Resveratrol seems to influence cholesterol levels by reducing the effect of an enzyme that controls cholesterol production. It also has been shown to interfere with protein fragments called beta-amyloids, which are crucial to forming plaque that is the hallmark of Alzheimer's disease. Because resveratrol appears to be so effective at warding off many diseases associated with aging, it is often referred to a “fountain of youth”. Already, animal studies have shown that resveratrol helped overweight mice run farther and live about 20 percent longer. It has even been found to increase the lifespan of human cells. Turmeric is a rhizomatous herbaceous perennial flowering plant of the ginger family, These compounds within turmeric are called curcuminoids, the most important of which is curcumin. Curcumin is the main active ingredient in turmeric. The benefits turmeric confers are several all of which are anti-aging. Turmeric blocks a molecule that penetrates into the nuclei of your cells and turns on inflammatory markers thereby reducing inflammation. Curcumin is a potent antioxidant that can neutralize free radicals due to its chemical structure. Curcumin boosts the activity of your body's own antioxidant enzymes. Curcumin boosts brain-derived neurotrophic factor, BDNF, linked to improved brain function and a lower risk of brain disease. Several studies suggest that curcumin improves endothelial function. One study found that it’s as effective as exercise while another shows that it works as well as the drug Atorvastatin. A key feature of Alzheimer's disease is a buildup of protein tangles called amyloid plaques. Studies show that curcumin can help clear these plaque. Studies demonstrate it has the ability to promote the death of cancerous cells and reduce angiogenesis (growth of new blood vessels in tumors) and metastasis (spread of cancer). Multiple studies show that curcumin can reduce the growth of cancerous cells in the laboratory and inhibit the growth of tumors in test animals. There is also some evidence that curcumin can boost the brain’s neurotransmitters serotonin and dopamine. It’s a scientifically accepted fact that turmeric bolsters the body’s immune system. The massive benefits this miracle root offers, gives additional support to Cardio Miracle’s nitric oxide boosting ingredients while conferring potent anti-inflammatory properties. Besides helping sustain normal metabolic function the B vitamins play an important role in regulating homocysteine levels in the blood. A New York study showed that homocysteine levels greater than 1200 microM “produced significant indirect suppression of eNOS activity.” The B vitamin group also helps regulate other chemicals that directly affect mitochondrial activity believed to eventually induce NO synthesis. Vitamin B12 is an essential nutrient for the body, and is needed to protect DNA and RNA, support energy, protect nerve and brain cells, stimulate serotonin production, contribute to red blood cell formation, maintain skin, support digestion, and support immune function. Why Vitamin B12 is so important for cardiovascular function? One of the primary reactions of methylcobalamin in the body is to convert homocysteine to methionine - high homocysteine levels are undesirable and known to be an indicator of heart disease and stroke risk due to the fact free homocysteine in the blood causes atherosclerosis and venous thrombosis, putting strain on the vascular system and the heart. Vitamin B12 plays the part of regulating the levels of this hormone in the blood since it is produced whenever amino acids are broken down. In addition, the conversion of homocysteine to methionine reduces the potential for damage because the methionine is the precursor to the super-antioxidant glutathione. Glutathione is the body's main antioxidant, protecting our cells from damage as well as the body’s master detoxifier. There are some things that should be cleared up about vitamin B supplementation. Many companies opt to use the cheapest form which is produced in a lab. It’s called cyanocobalamin and it’s chemically synthesized, whereas the other form known as methylcobalamin is found in animal based foods and occurs naturally. Why it’s important to know the difference between Methylcobalamin and Cyanocobalamin? Cyanocobalamin contains a cyanide molecule. Although the amount of cyanide in a normal B12 supplement is small, your body still has to eliminate this compound. Methylcobalamin has a methyl group (just carbon and hydrogen) and it’s the methyl-compound that the human body needs to function properly. Methylcobalamin is the superior vitamin B12 form. Methylcobalamin is the most bio-available form of Vitamin B12, and it remains in the body for a longer period of time and at higher levels than cyanocobalamin. The body is supplied with vitamin B12 for longer with methylcobalamin than with cyanocobalamin. In addition, studies show methylcobalamin significantly improves visual accommodation, while cyanocobalamin is ineffective. The most well studied use of methylcobalamin is focused on sleep, it appears that methylcobalamin is needed for the synthesis of melatonin. The research indicates that methylcobalamin can modulate melatonin secretion, enhance light-sensitivity, and normalize circadian rhythm. Lastly, certain forms of vitamin B12 are essential for pain management and without it, the body would be unable to cope. The methyl form of vitamin B12 is needed to suppress the cytokine production and studies show it has the same pain reducing effect in patients that suffer from arthritis. Vitamin B6, aids in hormone control and treating emotional disorders, cardiac diseases, kidney disorders, carpal tunnel multiple sclerosis, anemia, arthritis, nausea, infertility and influenza. B6 is helpful in treating a vast number of problems related to the heart and skin, as well as depression, fatigue, the nervous system, and much more. It can mitigate skin problems, including eczema, psoriasis, melanoma, dandruff, acne, hair loss, and dry skin. Vitamin B6 rounds out Cardio Miracle providing foundational support to key body systems as well as ward off fatty build up in the arterial and cardiovascular system. Vitamin C stimulates the production of white blood cells, which are the body’s primary line of defense against foreign agents and pathogens. In addition, Vitamin C is a crucial component of collagen, which means that your body can heal itself faster by repairing cells, blood vessels, organs, and tissues from illness or injury. We chose acerola cherry because of its high level of anti-oxidants, including carotenoids and bioflavonoids, both of which neutralize the effects of free radicals in the body. Acerola cherry is also a rich source of potassium and like many juicy fruits, acerola cherry can also boost heart health. Potassium is a vasodilator, so it helps relieve strain on the cardiovascular system by dilating the blood vessels and increasing blood flow, thereby reducing blood pressure. This can lower your chances of developing atherosclerosis and can also prevent heart attack and stroke. The rich variety of anti-oxidants also helps keep the cardiovascular system clear of excess cholesterol and free radicals causing oxidative stress. Increased nitric oxide levels support healthy endothelial function and it even supports higher l-citrulline levels. Vitamin D is an essential fat-soluble vitamin, sometimes called the sunshine vitamin. It can either be obtained in the diet, through food and dietary supplements, or synthesized in the skin upon exposure to sunlight. Although classified as a vitamin, it should be considered a prohormone because it is involved in many metabolic processes in the body. Studies show that moderate sun exposure will increase the body’s natural vitamin D, providing a boost in energy and a feeling of well-being. Studies may suggest that insufficient vitamin D may reduce the bioavailability of Nitric Oxide in veins and arteries. The CDC reports that vitamin D deficiency has risen to 25% of the population. Many researchers believe this deficiency may contribute to increases in blood pressure and cardiovascular disease risk. Study shows women with 60 ng/ml had a 80% reduced risk of breast cancer. Epidemiological studies reported that higher blood levels of vitamin D are associated with a lower risk of colorectal cancer. Daily intake of 1000-2000 IU/day of this vitamin could reduce the incidence of colorectal cancer by 50%. suppress parathyroid hormone and reduce bone degradation thus indirectly increasing bone mass. One serving of Cardio Miracle helps support normal vitamin D levels associated with optimal Nitric Oxide production and a therapeutic dose for disease prevention. Vitamin K2 activates the calcium-binding actions of two proteins — matrix GLA protein and osteocalcin, which help to build and maintain bones. Vitamin K2 optimizes calcium binding to the bone structure, and is an important nutrient to help reduce the potential for the development of osteoporosis. Vitamin K2 is an important ingredient that your body uses to direct calcium to stay in your bones and out of your heart and other body systems. Why include Vitamin k2 in the form MK-7 rather than MK-4? MK-7 is a form of vitamin K22 that has greater bioavailability than MK-4. Research using the MK-7 form of vitamin K2 began about a decade ago. Likely due to its longer side chain conferring greater liposolubility, MK-7 has a much longer half-life than MK-4. This is a main reason that dosages of MK-7 may be as low as 45 µg daily and that single daily dosing is possible. The benefits of supplementing with K2 may be enhanced even further when combined with a vitamin D supplement, as these two vitamins have synergistic effects. Research indicates that the combination of Vitamin D and K provides synergistic support to the health of the blood vessels and skeletal system. We’ve added it to Cardio Miracle to provide foundational support of the body while delivering arterial cleansing through its nitric oxide boosting properties. Calcium build-up in the arteries around your heart is a huge risk factor for heart disease. When calcification takes place in the blood vessels’ they can become stiff and fragile which can impede healthy blood flow to and from the heart. Therefore, anything that can reduce this calcium accumulation may help prevent heart disease. Vitamin K2 is believed to help by preventing calcium from being deposited in your arteries. There is a highly plausible biological mechanism for its effectiveness and strong positive correlations with hear heatlh in observational studies. Long-term controlled trials on vitamin K2 and heart disease are needed. Other Key Scientific Observations of Vitamin K2 Function. Vitamin K2 has been found to improve survival in patients with liver cancer. Men who consume the highest amounts of K2 appear to have a lower risk of advanced prostate cancer. For those who don’t fancy munching on watermelon rind, watermelon extract is an excellent source of L- citrulline, an active precursor to L-arginine. Because it is also rich in lycopene, lutein, and beta carotene, Watermelon has been shown to support increased levels of antioxidants in blood plasma.